when you have a reactive dog right? 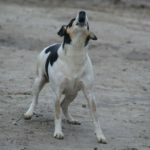 If you have a dog that explodes into a frenzy of barking, spinning and lunging when they see other dogs, people, bikes, traffic, strange animals etc, it can become a never ending cycle of stress and upset for both you and your dog, which can put a lot of strain on your relationship and the enjoyment of your day to day life together. 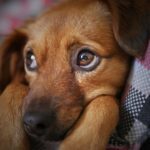 If any of these sound familiar, I know firsthand, it really isn’t the enjoyable, carefree picture of living with mans best friend you’d hoped for, but read on to see if any of the information here could help you. 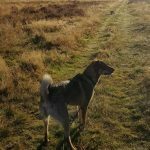 I have written this article based on Reactivity to other dogs, but the same principles can be applied no matter what your dogs particular trigger is. 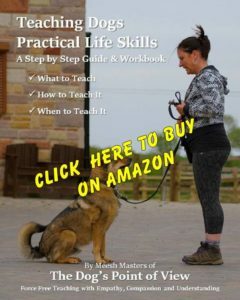 Training and behaviour modification for this kind of challenge takes time, it really isn’t something that will change in the space of a week or two, so your number one goal, to begin with, is to aim to keep your dog under threshold at all times. What I mean by that, is prevent them from being put in a position where they react. Remember, although this may seem like you’re avoiding the problem, this is in fact a major part of the training process, to reduce the frequency and intensity of reactive outbursts, whilst you’re working toward helping your dog feel more comfortable with these experiences. The more times they end up in this position, two things are happening. The first is, your dog will feel like you aren’t dealing with these situations, so they must take care of business themselves (hence reaction). And the 2nd thing is the more often they react, the more they’re repeatedly practising & strengthening the behaviour of reacting. When the dog (or trigger) that was too close for comfort moves on by, your dog will see this as a win! They don’t know the dog was going to go by anyway, they think their offensive barking & lunging MADE that dog go away. So you can see why it only takes a few repetitions before this becomes their habitual ‘go to’ behaviour, meaning it will quickly become an ingrained habit. So these things need to happen before your dog starts reacting, don’t wait to see if they’re going to react or not. It’s much better to proactively and calmly create some distance as soon as you see a trigger, then if your dog remains calm, you will be able to use that situation to do a little bit of positive association training as the dog passes you by. 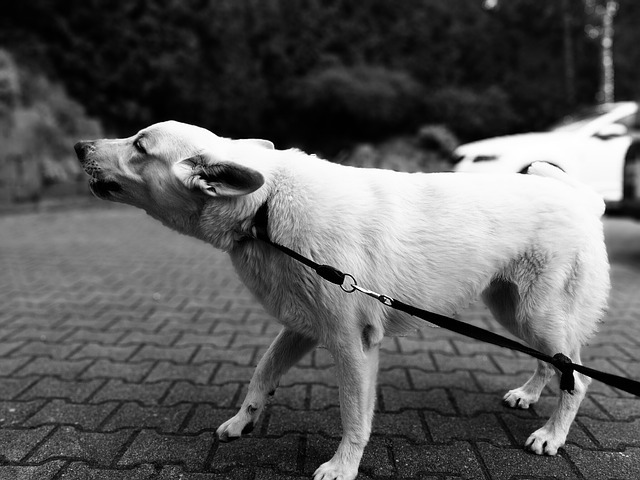 If you leave your response until your dog is already reacting (over threshold) food and treats are unlikely to work anymore, (emotional reactivity shuts down digestion as part of the fight or flight defense mechanism) and you’re going to have to battle against them and manhandle them in order to move away from the situation, which adds to the negative association they already have. They’re effectively in the midst of an emotional explosion, they can’t help it or control it until they’re taught how to in a very controlled & progressive way. 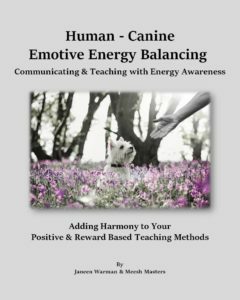 So once your dog is in that ‘zone’ no learning or training can take place, all you can do is manage as best you can and get out of the situation as quickly and calmly as possible. 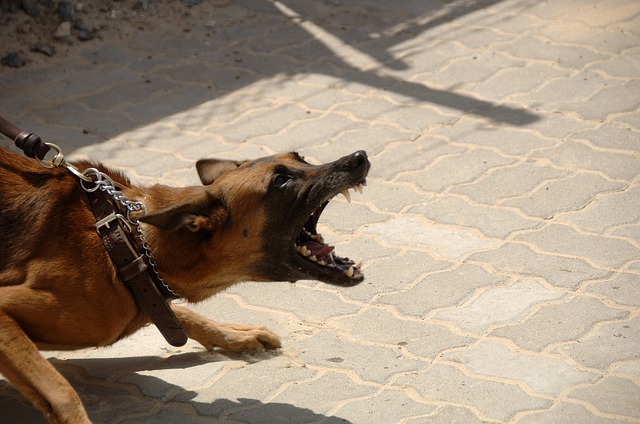 Avoid any form of physical punishment or aversive training method, this will most likely make your dogs reaction worse, and increase the risk of you getting a redirected bite. It could also damage your relationship with your dog, which could reduce your chances of eliminating the problem. A large part of rehabilitating a reactive dog lies in trust within the human-canine partnership. 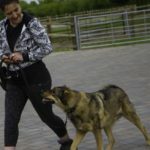 Obviously if your dog is lunging, hold tight, but try to release the tension in the lead at any opportunity you can, I know this is easier said than done, and it’s something that I can help more with on the support programme. Try to keep yourself between your dog and the trigger, again I know this is often not easy because their reactivity is usually pretty intense, hence why I recommend avoiding it as much as possible until your training is further along. Once you’re able to give some time and training to your dog’s reactivity, they will gradually be able to cope with these close encounter situations better, but until then…. ^^THIS^^ is my advice. Now I know (first hand) how stressful, upsetting and downright exhausting it can be when you have a reactive dog, whatever their trigger may be, I’ve had them myself, and worked with many. 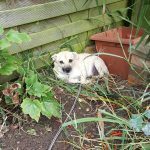 I know how much it can get you down, put a strain on your family and feel like all the wonderful reasons and dreams you had of sharing your life with your dog, seem to have disappeared out of the window! You don’t have to do this alone. For those of you struggling with reactive dogs… I know how much support you need, I know this kind of work takes time, it’s not a quick fix problem, I know how frustrating it can be to feel like you’re not making progress, and I know how isolating it can feel. I understand the importance of being able to just ask a question when you need to, have someone to share your stresses with, someone who will understand and be able to offer you support, advice and practical solutions along the way. Reactivity on walks is often not a standalone issue, and can be affected and compounded by any number of everyday stressors and situations, and that’s another area I can help with. If you would like us to work together you can find full details and prices of the options and programmes available HERE.